There are quite a few options these days for trailers that carry kids or dogs, luggage, groceries and other relatively small loads. Trailers are nice because they can be detached when not in use, but most trailers can’t haul much weight and the ones that do suffer some design drawbacks such as incompatibility with many kinds of bikes. Conversely, there are quite a few cargo bikes that can haul bigger loads, but cargo bikes meant for a lot of weight can be difficult to load, are sometimes difficult to ride (sometimes due to the bike’s design, and sometimes due to the sheer weight of the bike itself), and require a lot of space to store. 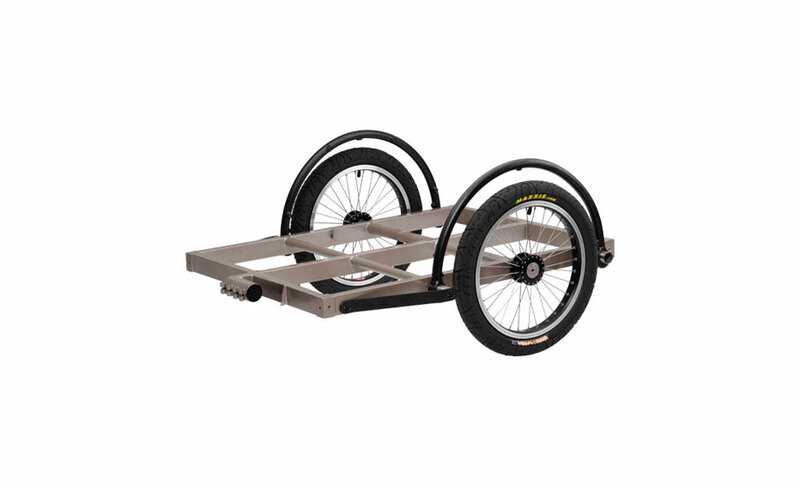 We felt we could help bridge the gap, so we designed two trailers meant to haul a lot, to be easy to use, and to work with a bike you have already.